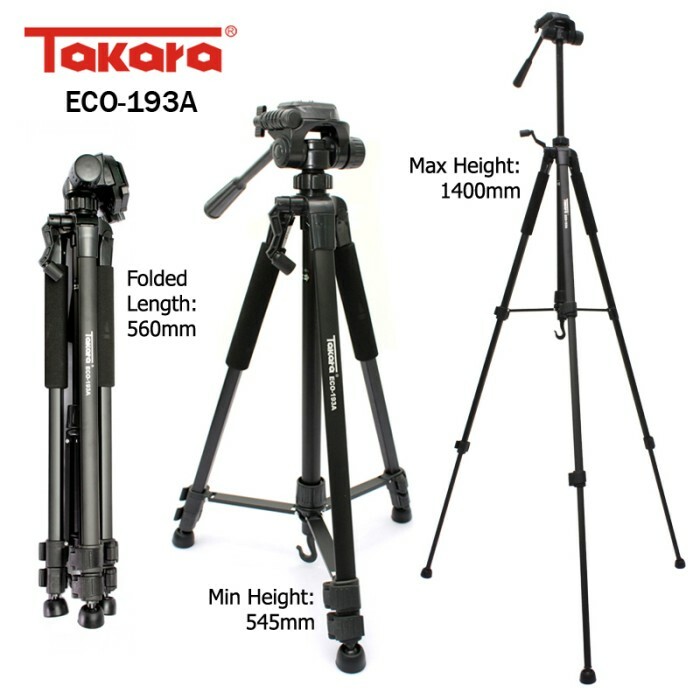 Tripod ini sangat berguna bagi mereka yang suka melakukan fotografi, baik menggunakan kamera, smartphone maupun Tablet PC. 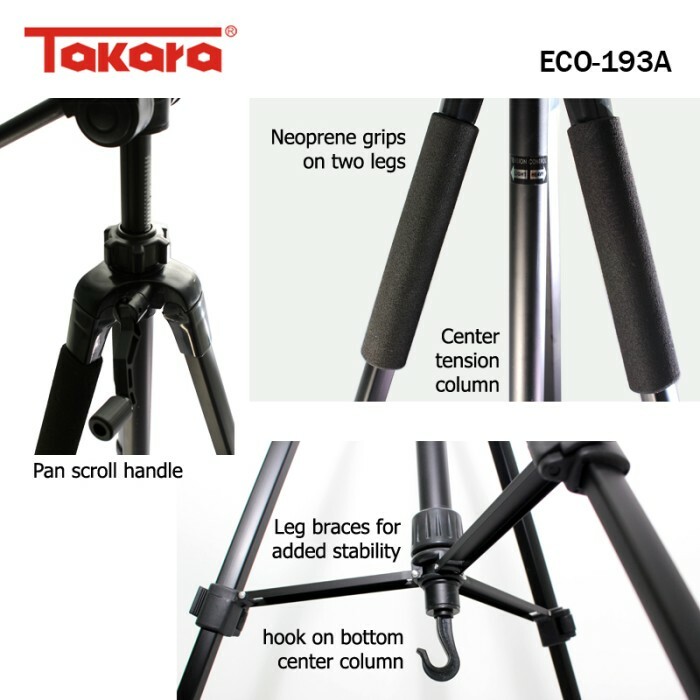 Tripod ini sangat cocok untuk dibawa-bawa pada saat berpergian, karena ringan dan kuat serta terbuat dri alloy berkualitas. 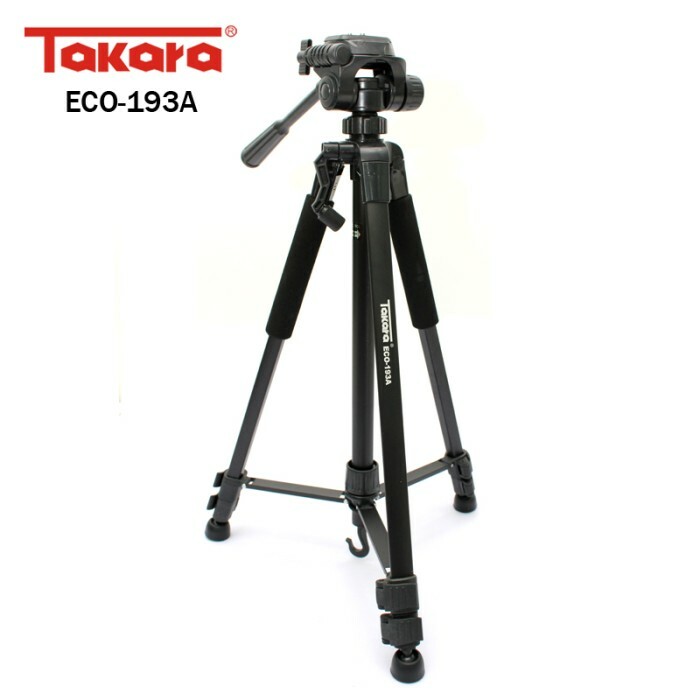 Lightweight tripod with diameter 21.2*16.2mm and 3 section leg. Max Height 1400mm. Three way ultra smooth photo/video fluid effect panhead. Made of alumunium black color. 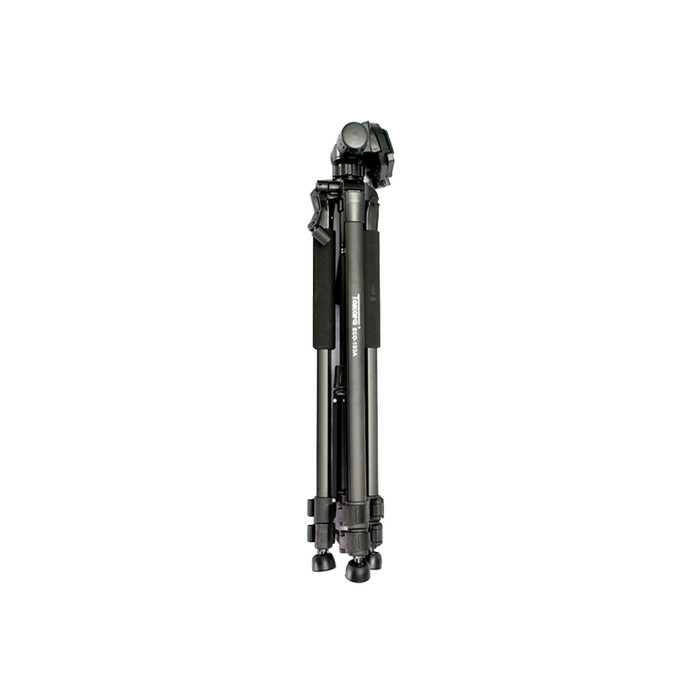 Geared center column with tension adjustment so it can moves smooth, more high, easy and well to use. Perfect for professional and entry level photographer / videographer with affordable prices. 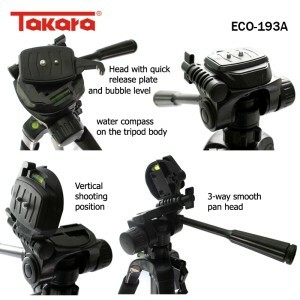 The best tripod. - Quick release plate and bubble level for well-balanced. - Vertical shooting position available. - Three way ultra smooth photo/video fluid effect panhead. - Pan scroll handle to move the neck for more height position. - Water compass on the top center. 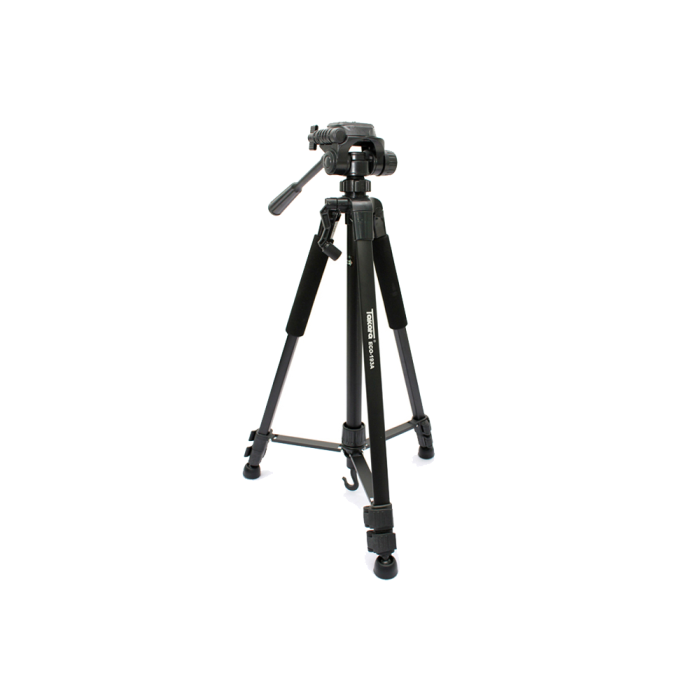 - Center tension column / Tension controlled center column, avoid your camera or DV from rapid sliding. - Neoprene grips on two legs. - Leg braces for added stability on uneven surfaces. - Attached a hook on center column. - Number of leg sections 3. - Leg lock type unlock and pull. 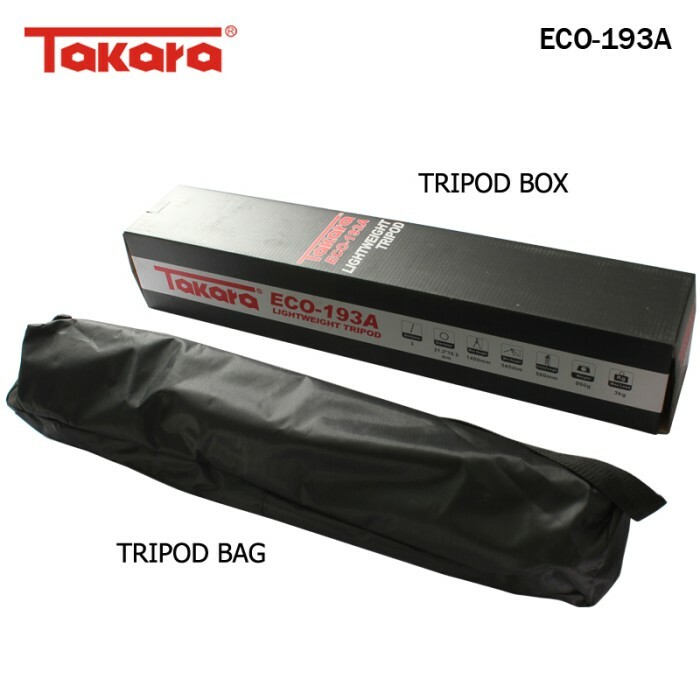 - Self leveling rubber feet.